The original Camp Wauwepex opened in 1921 in Miller Place, then moved to the present location in Wading River. It has served thousands of campers from Nassau County ever since. 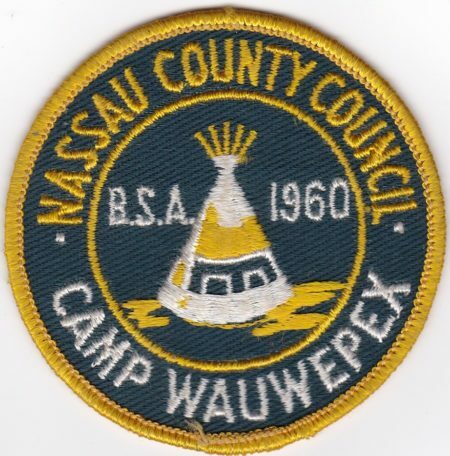 Wauwepex served the Scouts of than Nassau County Council and still serves the Scouts of Theodore Roosevelt council under the name Schiff Scout Reservation. Here is an image of the 19609 patch shown below.